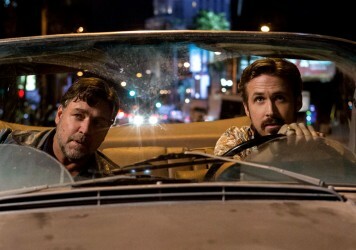 Another franchise reboot, but Shane Black knows his stuff. Wilfully offensive and powered by a chest-thumping machismo, but it’s good clean fun. Seems likely that we’ll be seeing more Predators down the line. The poster for Shane Black’s The Predator sees a giant, cloven hand clutching the detached skull and dangling metallic spinal cord of a deceased alien hunter. Green gak dribbles from the outer pores of this sick trophy. It triggers images of seedy, all-night video shops in grey suburbs, outlets that would traffic in the type of obnoxious, cheapjack gore flicks that young children one day dream of being able to view. Yes, parent: we all said we wanted to see Flight of the Navigator or Little Monsters, but we were secretly pining for you to drop your guard and slam a Bloodsport or a Ghoulies down on the desk. Black has made what feels like a precision-tooled throwback to the heady days of nasty, VHS grime, the type of “movie” (not a “film”, per the directors own admission) whose sole purpose is to jack up the kill count as each new scene rolls in. His aesthetic is modern retrograde, slick but not too slick, with every aspect made to look artificial. His commitment to plot and logic are laughably cavalier. Yet he proposes a pact: if we don’t worry about it, then neither will he. There’s almost the sense that he is purposefully trying not to make the The Predator too good, too funny, or too slick, lest it drop its cloak of invisibility and reveal itself as, well, a film rather than a movie. Which is all fine. Maybe defending a work by contending that its rough edges have been left that way on purpose is a bridge too far, but there’s enough here to suggest that Black and co-writer Fred Dekker have run a fine toothcomb over the original movies and attempted to discern what made them tick before layering on the myriad call-backs. Boyd Holbrook’s Quinn McKenna is the highly decorated army sniper who, while slotting some rando drug barons in a wooded pasture, happens across a fallen alien craft whose killer cargo dispatches his entire team before he’s able to lock down the situation. 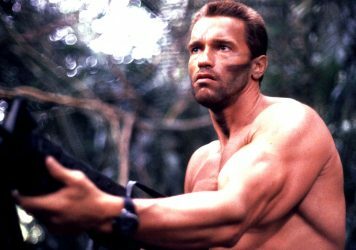 Imagine the entirety of the 1987’s Predator playing out in all of two minutes. Holbrook’s flinty, kill-bot turn is shorn of all but functional character traits, and despite two romantic possibilities being dangled in front of him, it feels commendably hard-nosed that he ends up opting for neither. Following the opening massacre, he realises he’s perhaps seen too much to be trusted by the twitchy intelligence brass, and so he mails some battle spoils – a predator mask and a tooled-up amulet – to his estranged, autistic son, played by perennial movie problem child, Jacob Tremblay. Havoc, of course, ensues. And then two things happen which kick off proceedings proper: one, there’s another Predator skulking about the place, looking to fire a grappling hook through someone’s/anyone’s face; and two, the first Predator, though wounded and heavily sedated by some canon fodder lab boys, has still got some juice in him yet. 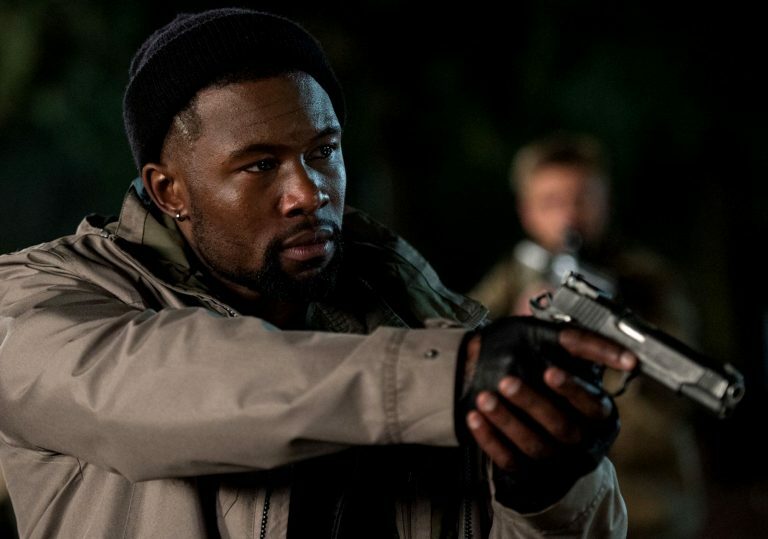 Quinn is then thrown together with a rogue’s gallery of miscreants, a screw-loose update of Dutch’s original wreckin’ crew, with top honours going to Trevante Rhodes, whose Nebraska offers a loving updated of Bill Gunn’s epically fierce turn in the original. Black doesn’t allow his louche, smartass patter to overwhelm the brew, though he grabs a dirty laugh whenever he can. 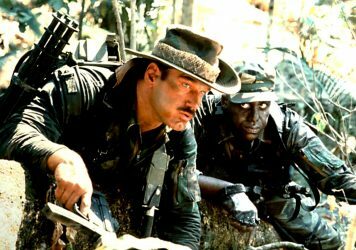 The action sequences unfold with a grim, mildly exciting logic, though Black doesn’t really have the same chops for dynamic storytelling or tension-building as John McTiernan, director of the original. In all, this feels like the best version of a movie that’s intentionally trying to be bad, so take from that what you will. The larger-than-life catchphrase machine epitomised the hyper-masculinity of ’80s action cinema.